Welcome to Dual Group! We are your local provider of premium landscaping services in Galston. Dual Group is committed to making sure your outdoor space looks brilliant and flourishes all year round. From lawn care to fertilisation, plant management, garden care, turf solutions, strata and commercial maintenance – you get it all. You can request any job big or small and be rest assured the job will be done on time, every time. When the day is done you bet the place will be neat, tidy and ready to enjoy! Whether you need a one-time service or a long-term landscaping routine we are happy to work around your schedule. Find out the difference a premium landscaping service in Galston can bring to your garden. For a free no-obligation quote, call 1300 303 539 or get a quick quote. Dual Group provides a range of landscaping and lawn maintenance in Galston to meet your exact needs. No matter where you are in Galston, our mobile team is fully-equipped to tackle the tough jobs and get your garden back into fine form. All you have to do is choose your service and relax! Lawn Care – Mowing of small front/backyards and long stretches of acreage. 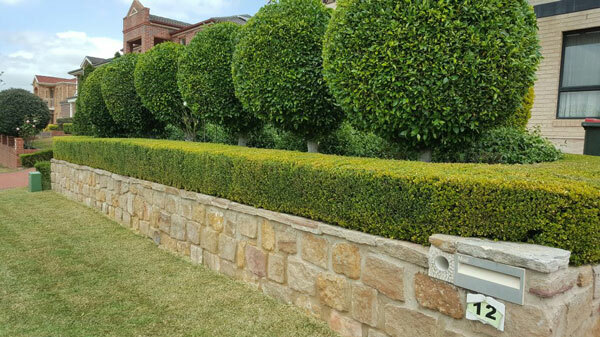 We provide a consistent trim across the yard and detailed edging around yard obstacles, trees and footpaths. Fertilisation – By taking into account your type of soil, the current season and surrounding plants, Dual Group can determine the most suitable kind of fertiliser for your garden. We help replenish lost nutrients and aim to treat unhealthy plants, provide nutrients for existing plants and boost the overall appearance of your garden. Plant Management – Spring new life to your garden by planting a new tree, shrub, bush or garden bed. Dual Group can offer expert advice on different plants and even install a water irrigation system to reduce maintenance while keeping the garden young and healthy. Garden Care – Dual Group is your one-stop shop for all things garden care. From settlement clean ups to hedging, weeding, pruning, mulching and removal of garden waste – we do it all. Turf Solutions – Wherever you are in Galston, we can deliver the right turf solution straight to your door. By purchasing in bulk you can enjoy outstanding discount rates too! If you’re interested in turning your outdoor space into a space to be admired and enjoyed all year round, get in touch with Dual Group. For a free no-obligation quote, call 1300 303 539 or get a quick quote. As local experts in landscaping services for Galston, rest assured you will be amazed by the look of your new garden.